When Stephen Dennis was raising his two sons in the 1980s, he never heard the phrase "screen time," nor did he worry much about the hours his kids spent with technology. When Stephen Dennis was raising his two sons in the 1980s, he never heard the phrase “screen time,” nor did he worry much about the hours his kids spent with technology. When he bought an Apple II Plus computer, he considered it an investment in their future and encouraged them to use it as much as possible. Boy, have things changed with his grandkids and their phones and their Snapchat, Instagram and Twitter. 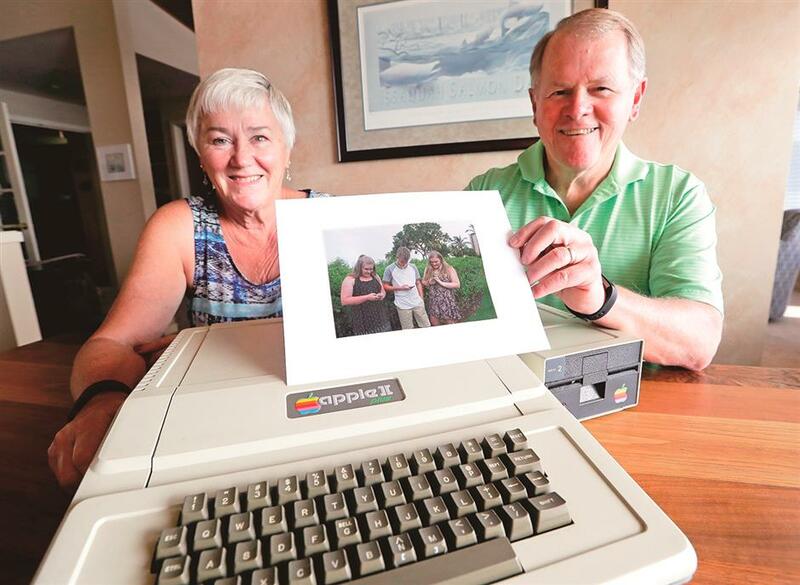 Kathy and Steve Dennis pose with a photo they took of some of their grandchildren and their phones as they display the 1980s-era Apple II+ computer. Today’s grandparents may have fond memories of the “good old days,” but history tells us that adults have worried about their kids’ fascination with new-fangled entertainment and technology since the days of dime novels, radio, the first comic books and rock ‘n’ roll. True, the anxieties these days seem particularly acute — as, of course, they always have. Smartphones have a highly customized, 24/7 presence in our lives that feeds parental fears of antisocial behavior and stranger danger. What hasn’t changed, though, is a general parental dread of what kids are doing out of sight. In previous generations, this often meant kids wandering around on their own or sneaking out at night to drink. These days, it might mean hiding in their bedroom, chatting with strangers online. 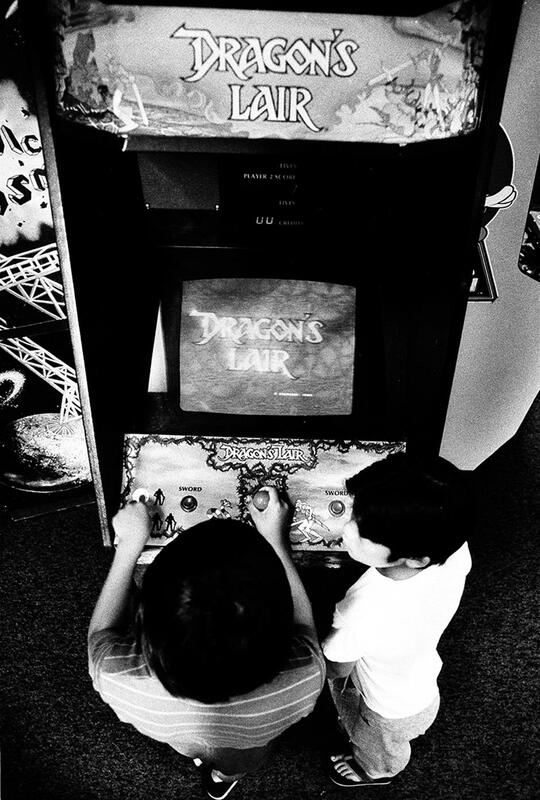 A 1983 file photo shows Ben Ho playing “Dragon’s Lair,” a new video game, at Captain Video arcade in West Los Angeles. Less than a century ago, the radio sparked similar fears. “The radio seems to find parents more helpless than did the funnies, the automobile, the movies and other earlier invaders of the home, because it can not be locked out or the children locked in,” Sidonie Matsner Gruenberg, director of the Child Study Association of America, told The Washington Post in 1931. She added that the biggest worry radio gave parents was how it interfered with other interests — conversation, music practice, group games and reading. In the early 1930s a group of mothers from Scarsdale, New York, pushed radio broadcasters to change programs they thought were too “overstimulating, frightening and emotionally overwhelming” for kids, said Margaret Cassidy, a media historian at Adelphi University in New York who authored a chronicle of American kids and media. Called the Scarsdale Moms, their activism led the National Association of Broadcasters to come up with a code of ethics around children’s programming in which they pledged not to portray criminals as heroes and to refrain from glorifying greed, selfishness and disrespect for authority. Then television burst into the public consciousness with unrivaled speed. By 1955, more than half of all US homes had a black and white set, according to Mitchell Stephens, a media historian at New York University. The hand-wringing started almost as quickly. A 1961 Stanford University study on 6,000 children, 2,000 parents and 100 teachers found that more than half of the kids studied watched “adult” programs such as Westerns, crime shows and shows that featured “emotional problems.” Researchers were aghast at the TV violence present even in children’s programming. 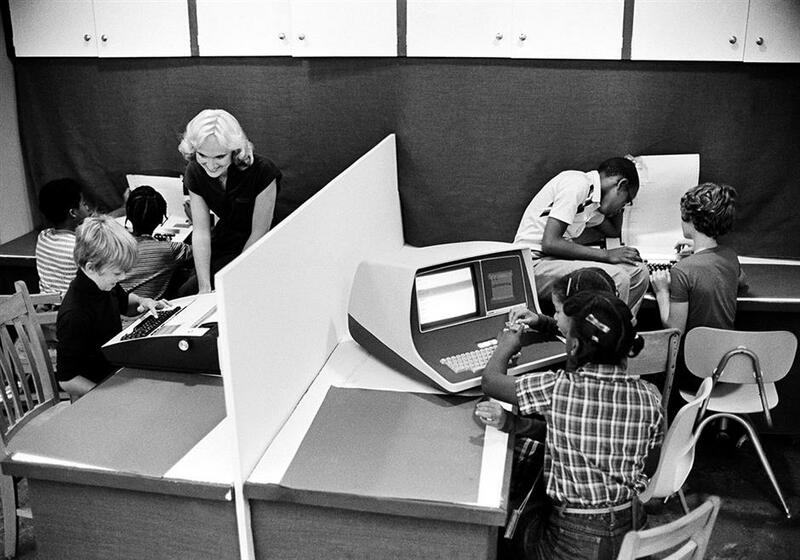 A 1980 file photo shows Nancy Armstrong, a teacher at the Marshall elementary school in Harrisburg, Pennsylvania, assists her students in the use of computers to aid them in their studies. By the end of that decade, Congress had authorized US$1 million (about US$7 million today) to study the effects of TV violence, prompting “literally thousands of projects” in subsequent years, Cassidy said. That eventually led the American Academy of Pediatrics to adopt, in 1984, its first recommendation that parents limit their kids’ exposure to technology. The medical association argued that television sent unrealistic messages around drugs and alcohol, could lead to obesity and might fuel violence. Fifteen years later, in 1999, it issued its now-infamous edict that kids under 2 should not watch any television at all. The spark for that decision was the British kids’ show “Teletubbies,” which featured cavorting humanoids with TVs embedded in their abdomens. But the odd TV-within-the-TV-beings conceit of the show wasn’t the problem — it was the “gibberish” the Teletubbies directed at preverbal kids whom doctors thought should be learning to speak from their parents, said Donald Shifrin, a University of Washington pediatrician and former chair of the AAP committee that pushed for the recommendation. Video games presented a different challenge. Decades of study have failed to validate the most prevalent fear, that violent games encourage violent behavior. Some cities sought to restrict the spread of arcades; Mesquite, Texas, for instance, insisted that the under-17 set required parental supervision.